KL-Kuala Selangor Expressway Bhd is the concessionaire for KL-Kuala Selangor Expressway (LATAR), which comprise of 33 km toll expressway with dual carriageway with value in excess of RM958million (USD309mil), spanning from the north of Templer Park, Rawang, in the District of Gombak to Assam Jawa town in the District of Kuala Selangor. 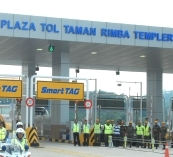 LATAR was officially opened to public on the 23rd June 2011. 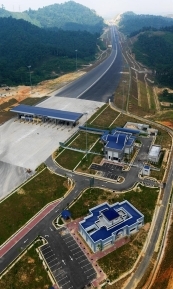 It now acts as an alternative route to the Federal Road 54 (Jalan Kuala Selangor) and provides 4 interchanges namely Ijok Interchange, Puncak Alam Interchange, Kuang Interchange and Templer Park Interchange for easy traffic dispersal in and out of the expressway; as well as 3 toll plazas located at Ijok, Kuang Barat & Kuang Timur and Taman Rimba Templer. 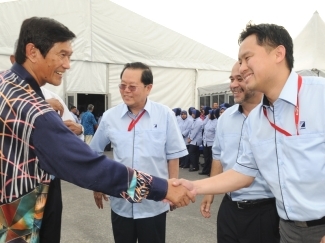 LATAR also provides links between major road networks within the Klang Valley by linking the East Cost Expressway (LPT1), the North South Expressway (PLUS) and the future West Coast Expressway (WCE). For further information, please click on LATAR official website .